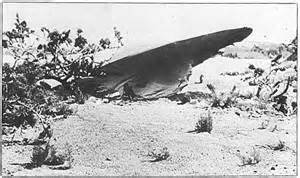 On a stormy evening on 02 July 1947, a controversial event took place near Roswell New Mexico. William “Mac” Brazel, who was a foreman on the Foster cattle ranch when this event occurred, was waiting out the storm that night. This was nothing new as the “monsoons” (thunderstorm season) were in full swing. The next day Mac went out to check the pastures to see where the most rain had fallen as he would then move the herd into the best pasture for feeding. In those days (the 1940’s) it was common to move around the countryside on a horse. As Mac rode into one pasture he noticed it was littered with the debris of a substance that was not familiar to him. This metallic material was unlike anything that he had ever seen. It was very light much like our present day aluminum foil but extremely strong and would pop back into its original shape if you crumpled it up. You couldn’t cut or burn it, it seemed indestructible. There were also small solid girders that had strange hieroglyphics printed or embossed them. They too seemed to be very strong. These pieces of aluminum-like foil were scattered over an area of several hundred yards like something had crashed or crash-landed there. Mac was a rancher, not an aviator, but he did feel compelled to tell someone of authority about this. He contacted Sheriff Wilcox in Roswell on 07 July 1947. The Sheriff’s office didn’t have any clue as to what this “crash or crash landing” was, as there were no reports of any civil aircraft missing. About 2 weeks earlier, the infamous story about Kenneth Arnold seeing a flight of strange aircraft traveling at a very high speed near Mt. Rainer in Washington state. Arnold said they looked like saucers skipping on a pond. The media then dubbed the phrase “flying saucers”. Flying Saucer mania swept the country. 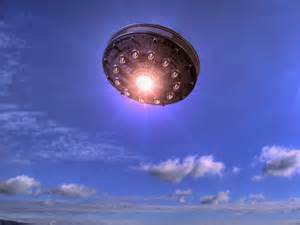 So when Brazel spoke with Sheriff Wilcox, Mac asked if this might be one of those “Flying Saucers” that was scattered over the Foster Ranch? Mac wasn’t sure what it was.